Holy cow 80 degrees today!!! 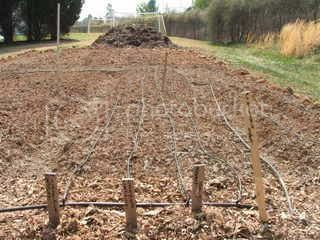 new photos from my garden; these are of the drip irrigation i installed the other day. 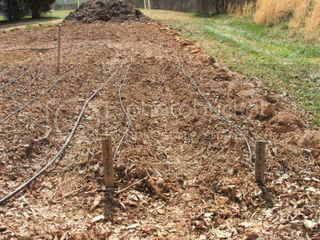 the irrigation is for the beets, carrots and snap peas i planted this last weekend. 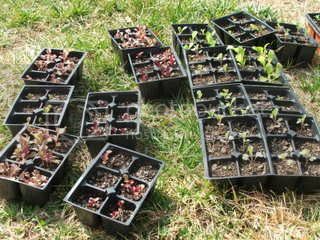 here are some seedlings i am hardening off to plant this weekend. lettuces, radicchios and cauliflower. well here's to spring!!!! my word for the day is GERMINATION!!!! 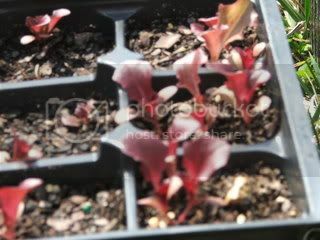 Everything looks so healthy, great germination rate too it looks like. Seeing that garden in full production will be awesome. You have been busy Todd. You must post progress pics when things are flourishing. As Toni said that will be awesome. fresh veggies. Luxury! you put a lot of effort into it. 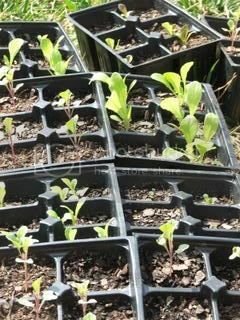 It will be nice to see them planted and growing. Feast the eyes a bit.